With a New Year comes resolutions to improve our health and fitness and whilst I am always on the go, I would not really class it as exercise. When Vionic Shoes asked me to try out some of their casual or active sneakers it was definitely a step in the right direction. I order the on trend Mitzi casual sneakers which have a suede upper and fashionable belt detail. 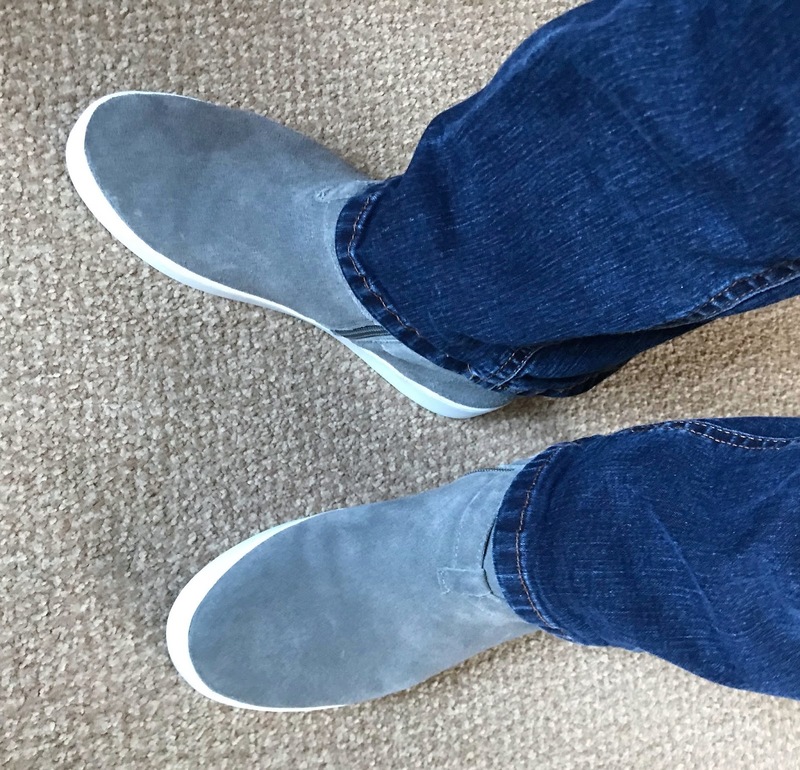 The suede upper is treated with a protective coating to help protect against weather conditions and the side zip offers you ease when putting on and removing. Inside is a removeable microfibre covered EVA orthotic insert which are recommended by Dr Andrew Weil. These can help with conditions like plantar fasciitis and heel pain by naturally realigning the foot. According to experts walking is one of the most beneficial exercises for the whole body. By walking 8000 - 10000 steps per day can help you to lose weight and improve fitness. You may think that is a lot of steps but by simply taking stairs instead of lifts, parking further away from work if you have to take the car this can add those much needed daily steps to your target. Walking is also good for your mental health, it can help to relieve stress. Below are a few steps I have taken to improve my overall health and fitness. Obviously my dog loves that he gets to go out for longer too, he now gets more walks a day and is still bouncing around the house. So do the Vionic shoes help? I would say most definitely. The Mitzi is one of the most comfortable shoes I have worn to date and I cannot wait until the weather becomes a little more predictable. I don't want to ruin them by walking down the sludgy lanes in the Peak District. I am also looking at adding a pair of Vionic sandals to my collection for spring and summer as they are so comfy. 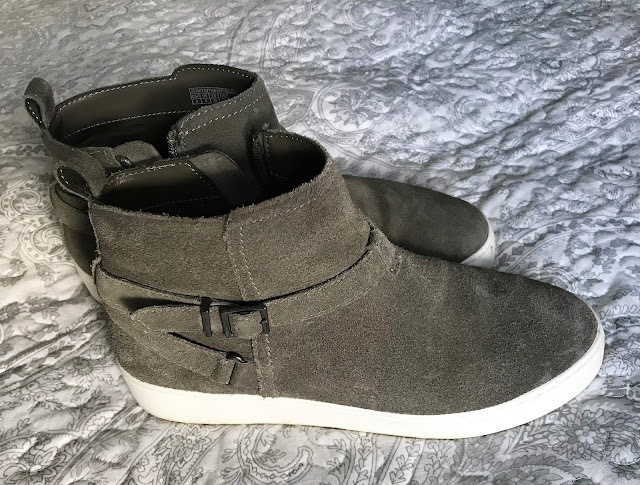 The Mitzi casual sneakers are currently in the sale priced £90.